Patrizia Bussi studied at the business management Faculty of the Turin University (Italy). She coordinates the European Network of Social Integration Enterprise (ENSIE), representing social enterprises and especially work integration social enterprises across Europe, aiming to contribute to sustainable development through different actions such as creating links between the job market and the social integration of disadvantaged risk-groups by improving their employment opportunities and productivity, and promoting the economic viability of social enterprises and the integration and reinforcement of their role in the general economic landscape. During her time in ENSIE, she has also worked for two Italian social economy enterprises: the Consorzio Sociale Abele Lavoro and the A-type social cooperative Stranaidea. Since 2012 she has been selected by the European Commission as member of the consultative multi-stakeholder group on social business (GECES) and member of the Social Impact Measurement sub-group. Since 2014 she has represented ENSIE in the Structured Dialogue with European Structural and Investment Funds' partners group of experts (ESIF SD). She is also a member of the Italian GECES group, Gruppo Multilaterale sull’imprenditoria sociale. Aziza Yussoupova is graduated in international relations, diplomacy and conflicts resolution from the Belgian univerisity (Université Catholique de Louvain, UCL). She has broad experience in managing teams and projects with different target groups. She gained more than five years of experience working in human rights domain through her voluntary participation to Amnesty International’s student organization and her internship at Unrepresented Nations and People Organization (UNPO). She has started to work for ENSIE very recently. She works in the management of different ongoing projects and she helps in developing constructive working relationships with key influential bodies and to gain their support for programs and policies linked to the social inclusion and the fight against poverty. Laurenne Makubikua has a Master degree in journalism from the Belgian University (Université libre de Bruxelles, ULB). She is specialized in the online communication (management of social medias and websites). She contributed to many magazines and radio shows (L’Avenir, RTBF, Quatremille, Radio Campus, Behind the Blinds). She is the founder and the editor of infotainment radio show “Black out”. 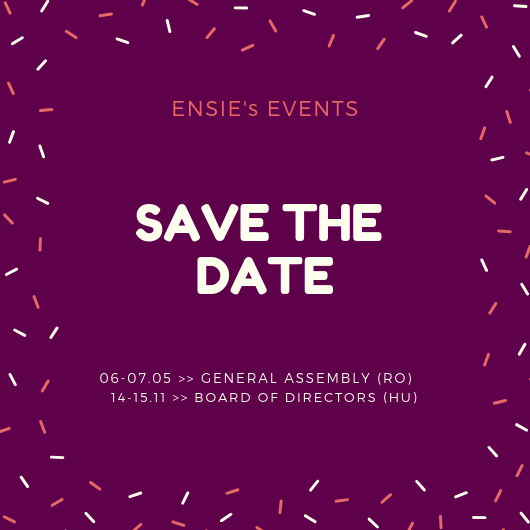 As the communication officer of ENSIE, she is the person in charge for the development and the implementation of internal and external communication strategy on ENSIE’s current projects in particular on INNO-WISEs.